CD was first released by Philips and Sony in 1982. Nowadays CD is gradually being replaced by other more popular digital storage such as hard drive, but they remain one of the most important ways to enjoy music. CD player is a great memory to enjoy audio for many people. If you have Audible audiobooks, you may want to burn them to CD to play on your car DVD system or Home Hifi CD player and so on. Due to the special encoded formats AA/AAX and DRM protection of Audible files, it is	not	as	easy	to burn them to CDs as other common MP3 files. But no worries, here I will show you two ways, you can either do that with iTunes or by third-party free CD burning tools. 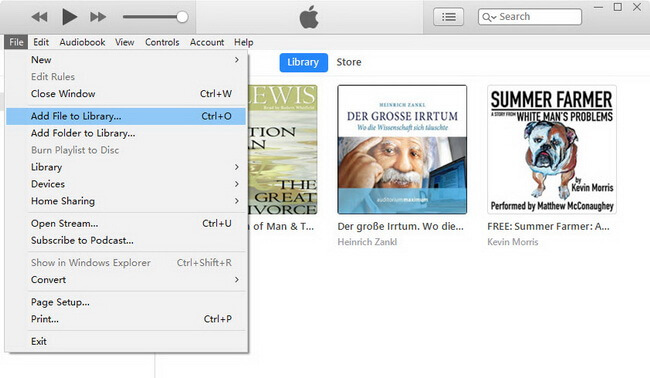 iTunes is the only software which is officially supported by Audible to burn audiobooks. It is highly recommended to update to the latest version before you start the burning process. Also, please make sure you have downloaded the Audible audiobooks to your computer already. Step 1. 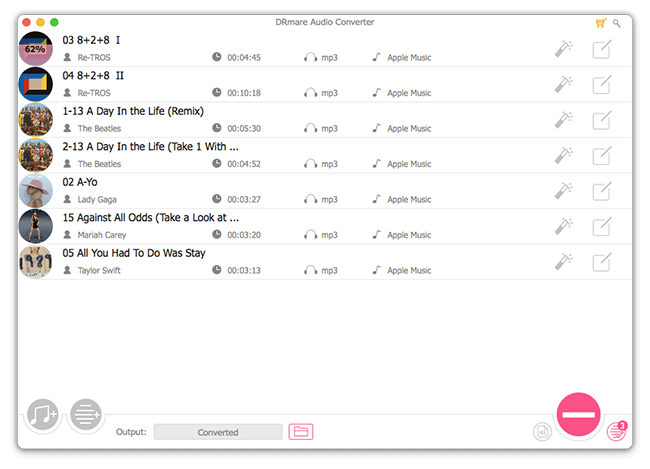 Import Audible files to iTunes. If you are on a Mac, the Audible books should have been already in your iTunes. Else if you are on a Windows PC, you can find your downloaded files from the Audible Download Manager and then import them to iTunes by clicking 'File' menu > 'Add File to Library'. Step 2. Create an Audible playlist. 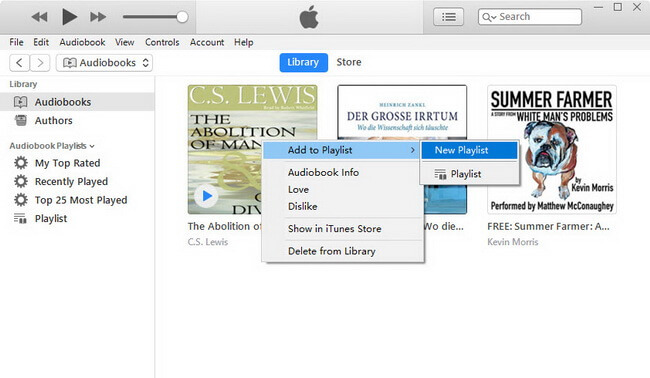 You can go to the audiobook section of iTunes to locate the audiobooks you like and then right click on them and choose 'Add to Playlist' > 'New Playlist' to generate a playlist. Step 3. Burn the playlist to a CD. Just insert a CD disc into the CD burner of your computer and then right click on the playlist and choose 'Burn Playlist to Disc'. You can customize the burning settings too. The optimized settings are 8X burning speed, audio CD disc format and choose no gap between songs. We'd recommend you to burn one Audible book to one disc. For the book which is longer than 80 minutes, you are required to insert another disc to complete the burning process. * You don't need to install extra software or tools. * Run fast and smoothly without hassles. * All Audible tracks can only be burned once. If any accident happens during the burning process, you will lose the chance the burn the audiobook to CD again. * It doesn't support to burn Audible audiobooks to MP3 CD except audio CD. * You have to authorize the files to play on iTunes with the Audible account name and password. So what can you do if unfortunately you fail to burn an Audible file to a CD on iTunes or sometimes you just want to burn more than one CD to use on more different locations or send some of them to your friends as gifts? Due to the Audible FairPlay DRM restriction, you are not allowed to use iTunes to burn multiple CDs of a same audiobook with iTunes nor can you to burn Audible audiobooks to CD with free tools like Windows Media Player unless your remove DRM copy protection. 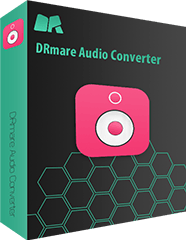 DRmare DRM Audio Converter for Mac/Windows is an all-in-one tool to strip DRM scheme from most audio files such as Apple Music, iTunes M4B audiobooks, Audible AA/AAX files, making it easiest ever to play audio files freely. It contains both Windows and Mac version, so you can pick up the right version you want to try it out. The paid version will cost you $39.95 which is not cheap for many users, but the value it provides to you is much more than that. By converting Audible audiobooks to MP3, you can burn the MP3 to music CD freely and you can save your time to enjoy them without the need of performing the DRM authorization. Click the two buttons from the bottom left to import your Audible audiobooks from iTunes library or computer folder depending on where you save them before. Besides, you can drag and drop to add the audiobooks AA/AAX files too. 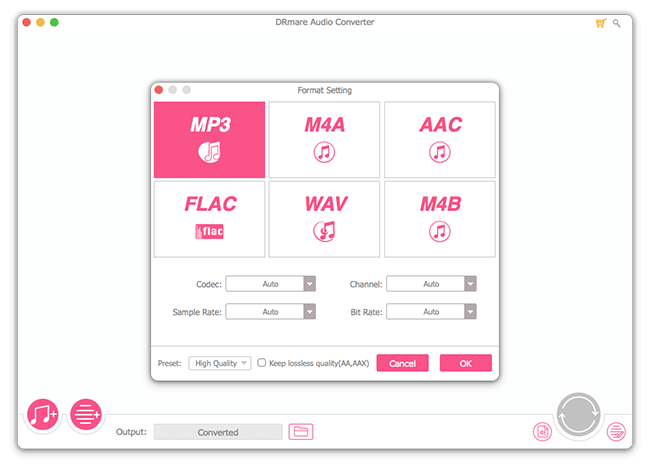 We'd recommend you choose the output format as MP3 which is a popular audio format. Usually every audiobook contains multiple chapters, to make it easier for you to navigate to different chapters during playback, we'd suggest you to click the 'Edit' icon beside the audiobook you imported and then choose the option to split your audiobook by chapter. After that, you can click 'Convert' icon from the bottom right of the DRmare Audio Converter screen to convert all files in batch. With the parallel converting acceleration technology, you will be surprised how fast it runs when you use it for the first time. What is even better is that the output quality is 100% lossless. Finally, you will get the DRM free MP3 audiobooks and you can burn then to CDs freely without using iTunes. 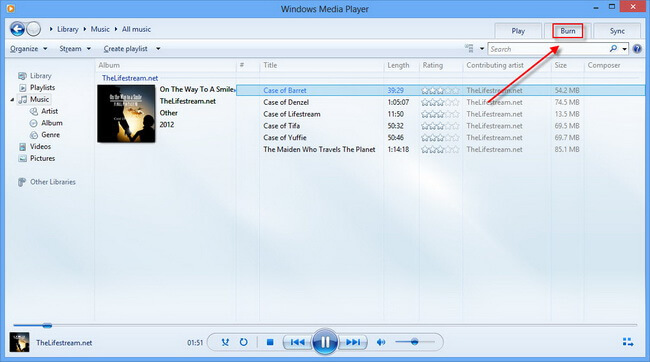 For example, you can use Windows Media Player or any other free CD burning tools. The operating steps are same, just import the files to create a playlist and then burn the playlist to a CD. *Liberate you from keeping authorizing your books before playing, save your time and make it more comfortable to listen to Audible books. 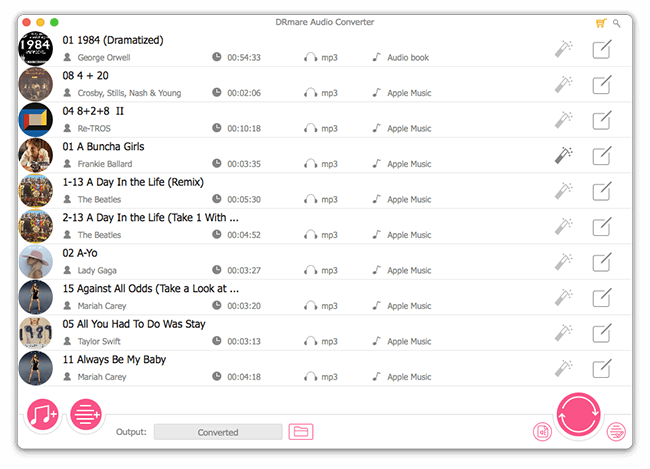 *Batch convert both DRM and non-DRM audio files, enables you to get the most out of your audiobooks, Apple music anywhere freely from any Android devices, Windows phones and tablets etc. *Make all your files safe, backup all your audiobooks offline without the need of worrying DRM server error, etc. The software costs $39.95 which is not cheap for some users. Both ways are so easy, right? Which method do you prefer? 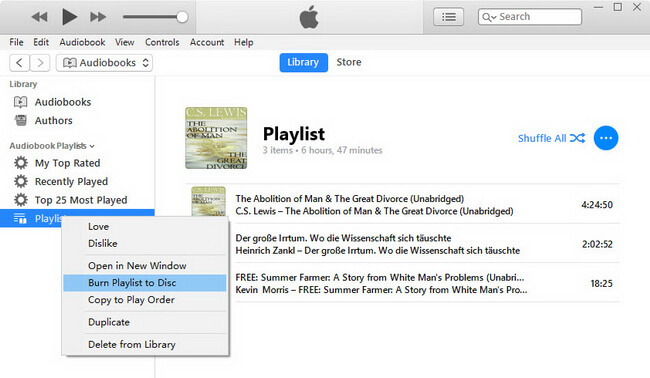 From my perspective, if you only having a few Audible books to burn to CDs, iTunes will be good enough to help you. But if you have couples or hundreds of Audible AA/AAX files, the second way will help you get the job done in a more flexible and efficient way. For instance, in the second way after removing DRM protection, you can also use other free DVD burning tools such as Ashampoo Burning Studio Free, WinX DVD Author, BurnAware Free and so on. Hope you enjoy playing the audiobooks CDs burned by yourself. If you have any questions or you find any other better ways to share, please go ahead to type your comments below.